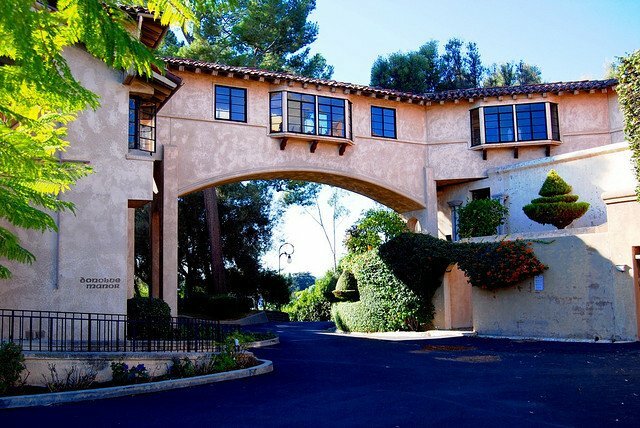 A Los Angeles Superior Court judge handed a ruling on Tuesday that would allow singer Katy Perry to finally buy that much-contested Los Feliz convent, according to City News Service. This is actually the second time that a judge has issued a ruling in Perry&apos;s favor on the matter. The battle goes back to 2015, when Perry set her sights on the sprawling property on Waverly Drive, but two nuns—Sisters Rita Callanan and Catherine Rose Holzman—tried to strike up a deal instead with local restauranteur Dana Hollister (who&apos;s got a history of buying huge mansions and hobnobbing with musicians). The issue then turned to who, exactly, had the power to sell the home. Callanan and Holzman (along with three other women) had purchased the property in 1972. The land is listed as belonging to the Sisters of the Most Holy and Immaculate Heart of the Blessed Virgin Mary nonprofit, which Callanan and Holzman are part of. The Archdiocese of Los Angeles argued, however, that the nonprofit is overseen by the church, and thus the church has overriding ownership on all assets belonging to Sisters of the Most Holy and Immaculate Heart of the Blessed Virgin Mary. The Archdiocese said that Callanan and Holzman needed approval from Archbishop José Gomez in order to sell the property. What transpired was an epic legal battle that saw the nuns side with Hollister, and the Archdiocese teaming up with Perry. It got a little nasty, as the Archdiocese claimed that Hollister was taking advantage of the elderly nuns&apos; "fragile financial condition,” and was effectively swindling them. In April of 2016, a judge invalidated the sale of the property to Hollister, paving way for Perry to swoop it up. But then a panel of State appellate judges would reverse the ruling, which led us into the another legal struggle that ended with Tuesday&apos;s ruling. The latest battle saw the nuns accusing Perry of witchcraft; according to the Daily Mail, during a meeting they confronted Perry about a trip she&apos;d taken to the The Salem Witch Walk in 2014. "I&apos;m sorry but I am just not into witchcraft and I am just not into people who are into witchcraft," Callanan told The Daily Mail. Alas, the court sided with Perry in Tuesday&apos;s decision. "The court finds that the sisters did not have the authority to sell the property to Hollister," Los Angeles Superior Court Judge Stephanie Bowick wrote in her ruling, according to CNS. "The Pope did not consent to the sale of the property to Hollister and there was no written approval from the Holy See or the archbishop." The proposed sale to Perry adds up to $14.5 million. The thwarted sale to Hollister, who reportedly wanted to turn the space into a boutique hotel, was worth $15.5 million.